Sigma Technology constantly works on contributing to a sustainable future. Therefore, we are glad to support social initiatives, especially those, which employ technology to solve humanitarian problems, like OpenHack. Hosting this event, on October 6-8, we hope to meet concerned people and show our support to them. 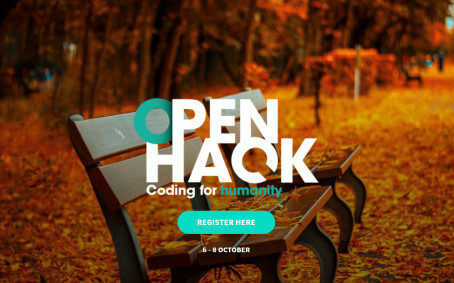 OpenHack is an Open Source hackathon organized on behalf of Engineers without Borders Sweden (EWB). Its purpose is to unite developers and creative minds who want to make a difference by creating solutions to solve humanitarian problems during a 48-hour hackathon. In the past hackathons, participants tried to handle disaster management and information sharing. Two years ago, a solution developed for the Doctors without Borders challenge showed how temperature sensors in the medicine supply chain can bring attention to cooling malfunctions, which is a common and very expensive real-world issue. This year’s event focuses on JobTech. The registration for the OpenHack event is now open! For more information, please contact Robert Åberg (robert.aberg@sigmatechnology.se). Sigma Technology is a part of Sigma Group and is a global supplier of product information, embedded solutions and software design, and offshore development. We are experts with a passion for technology and information, and take pride in delivering quality and constantly improving our deliveries. Our philosophy is “Local Drive – Global Strength”, therefore we have offices worldwide to be close to our customers. Sigma is owned by Danir AB and has about 3,400 employees and a network of partners in 12 countries.